A truly outstanding city, Edinburgh weaves narrow cobble stoned alleyways, spires and picturesque landscapes together to balance its historic, old-town feel with its vibrant, modern urbanity. Impressive medieval architecture, panoramic vistas, shops and dining, make Edinburgh – the capital city of Scotland – a perfect destination for a cheap weekend getaway. 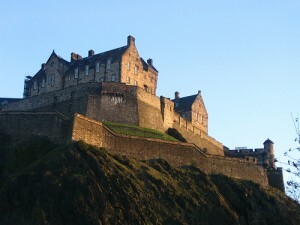 Sitting atop the city’s high, volcanic hill, Edinburgh Castle was built in the late 11th Century. The site of various conquests, the castle has functioned as a royal residence (where Mary Queen of Scots gave birth to Prince James, who later became both King James IV of Scotland and James I of England) as well as a prison, military barracks and now a tourist attraction.Admission to the castle is affordable but not free. Check the website ahead of time for online discounts. Arthur’s Seat is regarded as the best outlook point for bird’s-eye views of the city. At 250m, though, getting to the top of requires a bit of physical effort. This route, running from Edinburgh Castle to Holyrood Palace – the Queen’s Scottish residence, winds along Castle Esplanade, Castlehill, Lawnmarket Street, High Street, Cannongate and Abbey Strand. The streets are home to both culturally significant buildings like St. Giles Cathedral and the Scottish Supreme Court as well as a busy mix of pubs, cafes and local charm. Tour the Royal Botanic Garden for free and you’ll find nearly 34,000 plant varieties. The garden –originally a medicinal garden – offers a sampling of local landscape as well as the largest collection of Chinese plants outside of China. Edinburgh’s dining scene certainly benefits from pub culture. Countless pubs serve local ales and dram (Scottish whiskey) in traditional style and offer an authentic Scottish experience. The food in Edinburgh, that once had a less than flattering reputation, has certainly disproved any such claims. Cullen skink (traditional Scottish soup) or haggis (sheep’s heart, liver and lungs minced with onion, oatmeal, suet, spices and salt) with neeps and tatties (mashed turnip or rutabaga and potatoes) are a must, and fresh seafood, lam and Aberdeen Angus beef are favored by a growing, international foodie fan base. Edinburgh airport, although international, is relatively small and easy to navigate. Airlink buses provide quick, convenient transportation into the city for less than £5. Busses and trains into and out of the city also offer affordable transit options, connecting to various points in the UK. 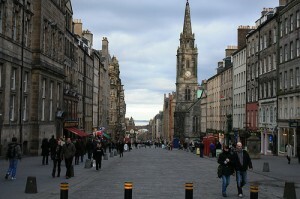 Edinburgh’s Fringe Festival, regarded as the biggest arts festival in the world, takes places every August. Now a 50-year-old tradition, the festival attracts visitors from around the world. The original Edinburgh Festival itself features classical music and dance while the all encompassing Fringe Festival also includes music, drama, comedians, literature, TV and more. Christine Fisher is a contributing editor for WorldReviewer.com and a freelance journalist currently based in London. Great article, I now live in Edinburgh and have to say it is such an amazing place, absolutely worth visiting for a weekend.